It's been a while since our last blog, so we thought we would do something a little different this month. 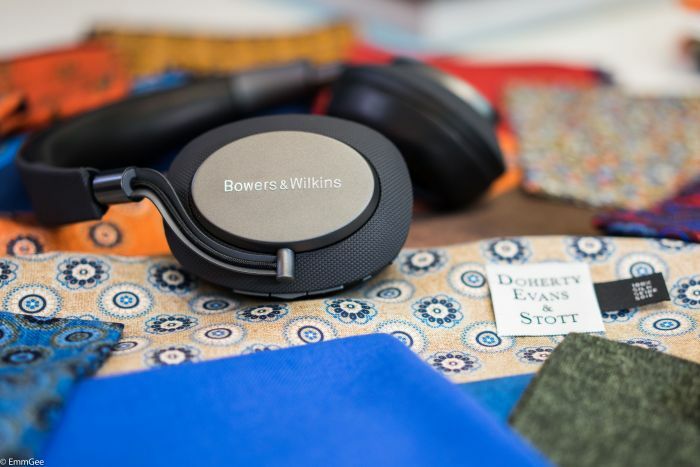 We asked Matt and Tom from our local bespoke tailors Doherty Evans & Stott to let us photo bomb their photo shoot with the B&W PX headphones. 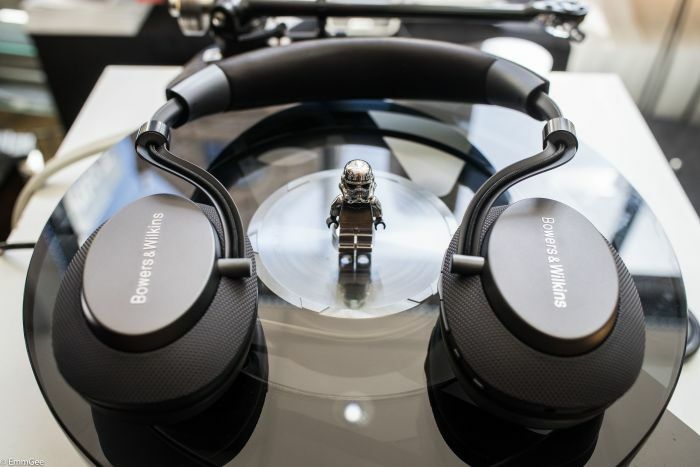 We also made a little video showcasing the B&W PX headphones in all their glory, using DE & S as a back drop. 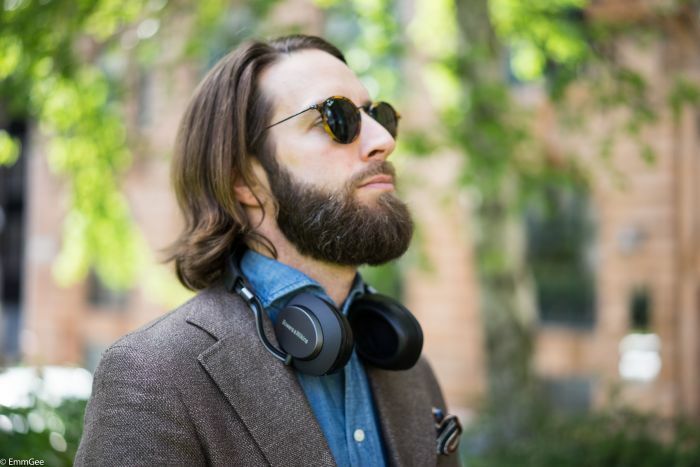 So keep an eye out for Matt looking sharp in a pair of PX headphones. Bowers & Wilkins have always been regarded as a powerhouse Hi-Fi speaker manufacturer, from mid to entry level loudspeakers to their Nautilus flagship, their products always reflect their drive as a company to deliver accurate sound to their customers. So in an ever expanding age of digital music being available to us, manufacturers have to work hard to keep up with tech in our world. B&W launched their PX series wireless headphones, ticking all the right boxes with APTX Bluetooth, adaptive active noise cancellation, software which combines an application available for your mobile device for control and customisation. 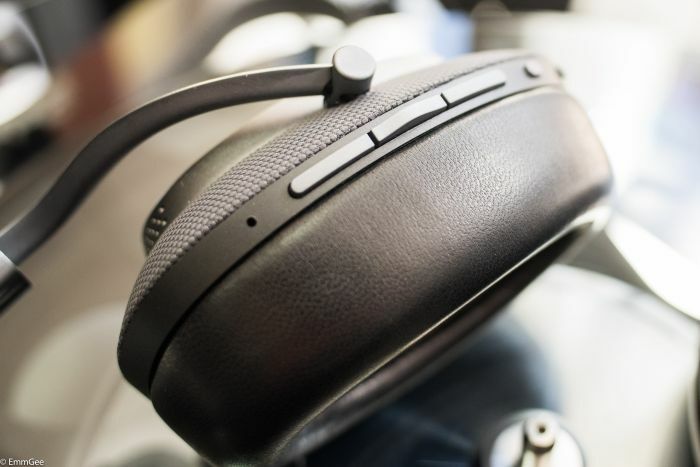 The PX's aren't the priciest headphone in the world yet they do feel reasuringly expensive, they simply ooze quality from the offset, the box to the carry case, everything has been crafted to reflect the price point of a £500+ headphone yet they only cost £330. From the leather/metal headband, the earcups, to the reassuring click of the buttons. Compared to the competition at the price point they are great value and punch way above their weight. Infusing metal with a soft touch leather has paid off to perfection, when you pause and actually look at the design of the headphones, they are truly unique. 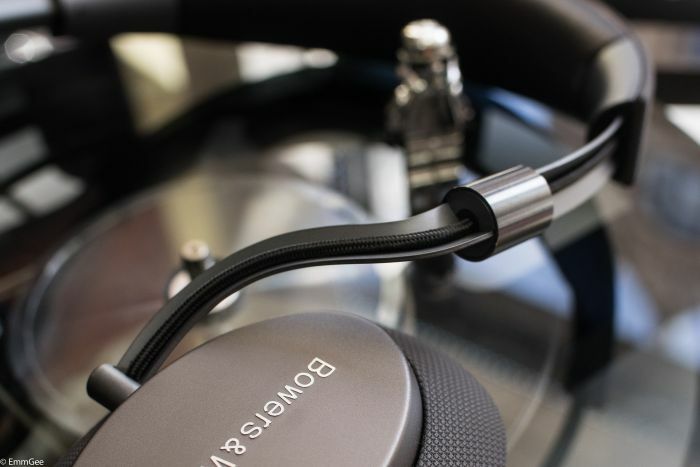 The way the metal is folded and curved to accomodate the braided cable, this in turn gives the ear cup a solid connection to the headband with little risk of breaking or bending, they look exceptional. Oh, and kudos to B&W for making the high wear parts replaceable i.e. the ear cups and cable. How do they sound and work? Soundstage, for a closed back set of cans the PX's are pleasantly surprising. Stereo imaging is accurate and encapsulating, they not only isolate you from the outside noise pollution but also deliver punchy and satisfying sound on your commute. The ease of wireless is not to be overlooked either, the range on the headphones in tests at our Manchester shop were up to 10 metres, meaning having your music source in your pocket or bag will be like the using a hot knife to cut through butter when connecting your mobile device to the headphones. Happy days. Matt from Doherty Evans & Stott, purveor of fine clothing and beautifully fitted suits, noted how comfortable the B&W PX's were. Jacket is Made to Measure by Doherty Evans & Stott. Right then, as you can see, a lovely set of PX headphones from Bowers & Wilkins. If you want try them out, we have ours on demonstration at Audio T Manchester. In the meantime you can see what the world wide web is saying about them here. Happy reading, see you at the store. Words, pictures and video by Munir & Simon. PSB have been producing loudspeakers for the last forty years. 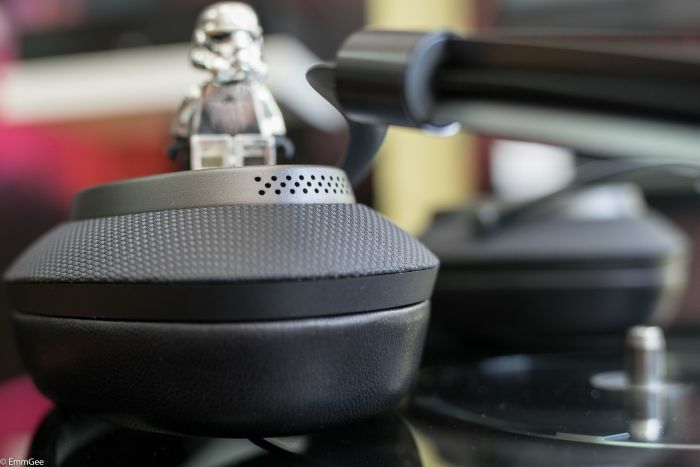 This is their first foray into the headphone market and they are worth shouting about. (Not that you will hear it as they are a fully enclosed design with active noise cancelling built in). They also have the added advantage of a built in headphone amplifier. Not only does this in many cases significantly improve the sound quality of the headphones as in overides the amplifier in the source (be it a phone, I-Pad, etc) it also extends the battery life of the listening source e.g. your phone or music player. As an example, you may be on a long haul flight when you get half way across the Pacific and your phones die....No more music! With the PSB's amplifier activated the power is not being taken from the phone itself but the internal amplifier - Music all the way! (Remember to take some spare AAA batteries). And with noise cancelling activated the only sound you will hear is the music. Not the music with with a couple of jet engines in the background. 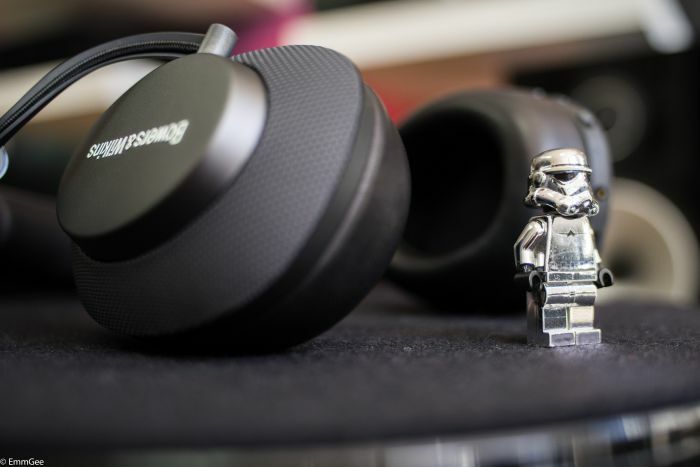 Sound Quality - Yes the headphones have the facility of an on board amplifier and noise cancelling but the main reason we strongly recommend these headphones is their stunning sound quality. They produce exceptionally deep powerful bass, a stunningly open and transparent midrange and a beautifully smooth and detailed top end. They play rock music as though you were 40 feet from the front of the stage or a string quartet as though you were sitting in a beautiful Georgian sitting room. Whether you are travelling or listening on a high end hi-fi system with a dedicated headphone amplifier these headphones are a must listen.